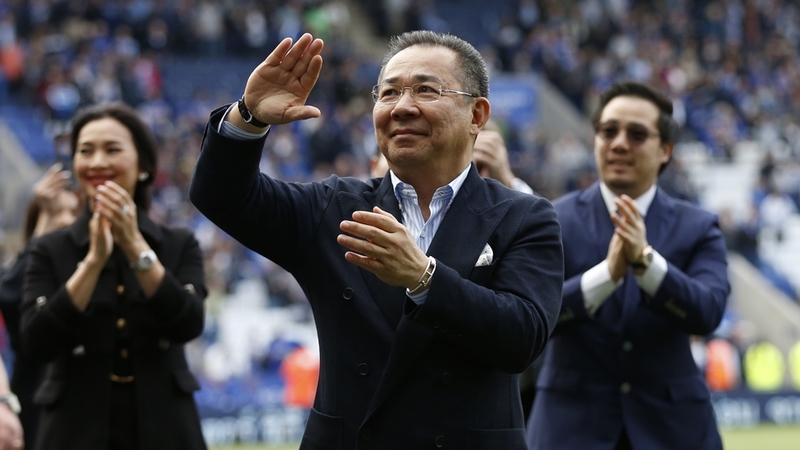 Leicester City football club owner Vichai Srivaddhanaprabha was on board a helicopter that crashed outside the club’s King Power Stadium, the BBC reported on Sunday, quoting a source close to his family. Another source reportedly told Reuters news agency that five people were aboard the helicopter, which belonged to the Thai businessman, including Vichai, one of his daughters, two pilots and another individual whose identity is unknown. It is not yet clear if those on board survived or what caused the helicopter, which belonged to the Thai businessman, to crash in a ball of flames in the club’s car park on Saturday, following a Premier League match. 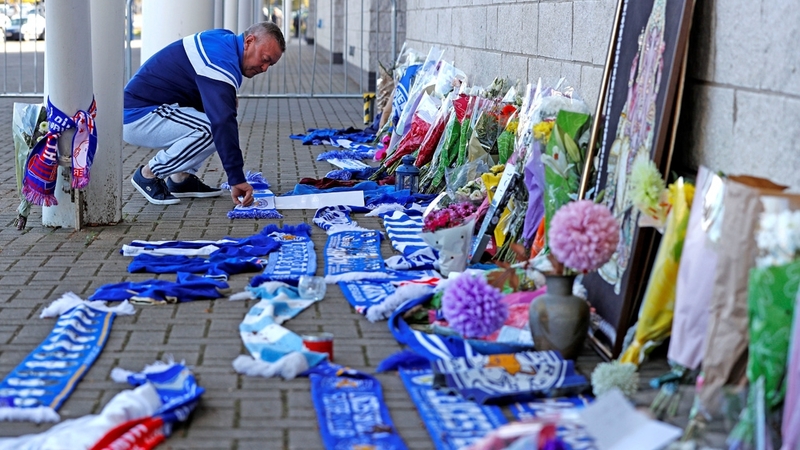 Officials from the club and Vichai’s company, duty-free giant King Power International, declined to comment on whether he was in the helicopter when it crashed. According to eye witnesses, the helicopter had just cleared the top of the stadium before spiralling out of control, plummeting to the ground and exploding. John Butcher, who was near the stadium at the time of the crash, told the BBC his nephew saw the helicopter spiral out of control. “Within a second it dropped like a stone to the floor … Luckily it did spiral for a little while and everybody sort of ran, sort of scattered,” he said. In a statement released late on Saturday, county police said the Air Accident Investigation Branch is leading an investigation to “establish the exact circumstances of the collision”. Vichai is hugely popular with fans of the previously unfancied side from central England who went on to stun the football world by winning the league title in 2016. According to Forbes magazine, he is the fifth richest person in Thailand with an estimated net worth of $4.9bn. He pumped millions of pounds into the club, helping to steer them to Premier League victory despite having started the season as 5,000/1 outsiders. Following the win, Vichai gifted 19 players a BMWi8 each. Leading players in the team, including Jamie Vardy and Harry Maguire, have shared messages of support on Twitter since the crash featuring “praying emojis”. A growing tribute of flowers and football strips and scarves appeared outside the stadium on Sunday, as people came to show their support. The incident took place around 20:30 GMT some 40 minutes after Leicester City drew 1-1 in the home match against West Ham United. Following the crash, a spokesman for the club said it was “assisting Leicestershire Police and the emergency services” and that a more detailed statement would be released once more information is available. The team is due to play Southampton in the English league on Tuesday, but it has not so far been confirmed whether that match will go ahead. A self-made businessman and father of four, Vichai founded King Power in 1989. The duty-free business got a big boost in 2006 when it was granted an airport monopoly under the government of then prime minister Thaksin Shinawatra and continued to prosper even after Thaksin’s ouster in a coup that year. In 2012, the late King Bhumibol Adulyadej of Thailand bestowed Vichai – originally called Raksriaksorn – with the new surname ‘Srivaddhanaprabha’, meaning ‘light of progressive glory’ in the Thai language, as a royal honour. An avid polo player in his free time, Vichai’s empire also includes the VR Polo Club in Bangkok. In May 2017, he bought Belgian football club Oud-Heverlee Leuven.